Bear Creek Elementary School in Dundalk opens for another day. 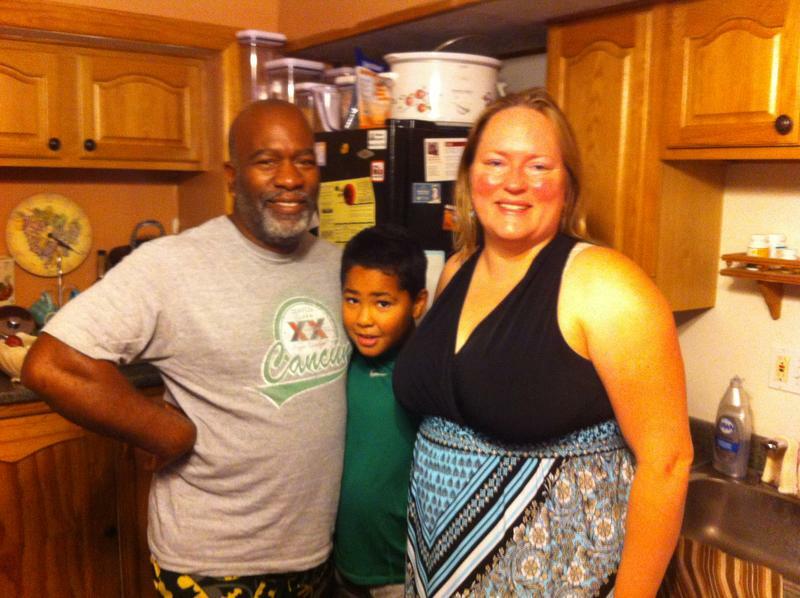 On a particularly hot day this week, Heather Garner and Drew Lee were hashing out whether to send their son, James, a fourth grader at Bear Creek Elementary, to school. Lee checked a weather app to get the forecast, and found that the expected high temperature for the day was 92 degrees. And even though the un-air-conditioned classrooms would be sweltering, Bear Creek, in Dundalk, would be open. So over breakfast Lee laid out James’s options. He could go to school and get hot, or stay home with his dad. He chose to stay home "because I love you." 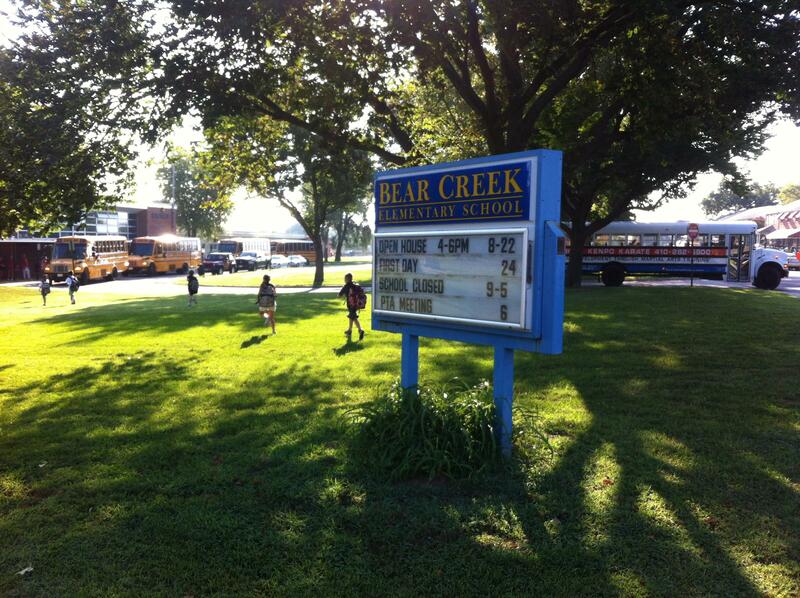 Bear Creek is one of 37 Baltimore County schools without air conditioning. Nearly a third of them--12-- are in the eastern part of the county and Heather Garner says she knows why. It’s one of Baltimore County’s poorest areas. "I don’t think it’s a coincidence," Garner says. "I think the overall feeling is this part of Baltimore County has been ignored for a really long period of time." 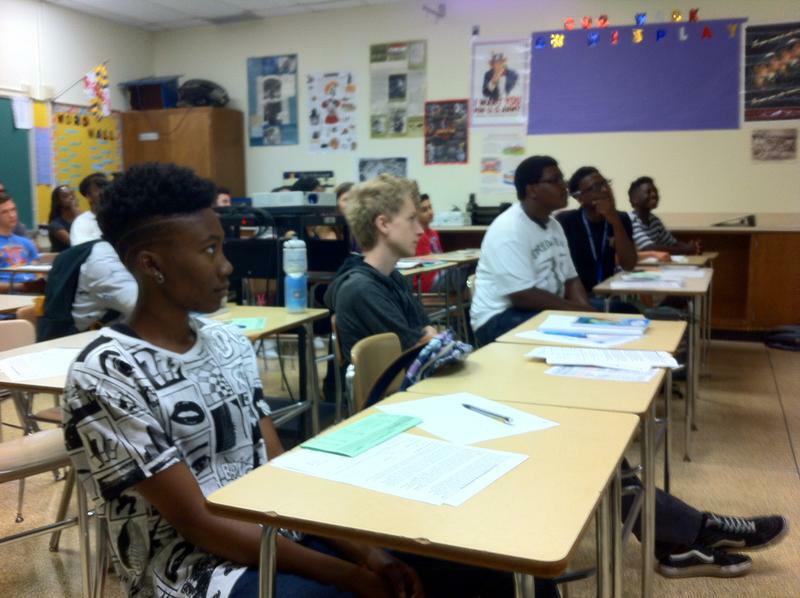 All 12 schools have a high percentage of students who qualify for free and reduced meals. At Bear Creek it’s 64 percent. Those schools also are in State Senator Johnny Ray Salling’s district. Salling says other parts of the county have been catered to while his area has been neglected. "When you see the people in position that needs to be responsible and to make great decisions for the community," he says, "they haven’t done that for the longest time." Dallas Dance, the county’s school superintendent, is just starting his fifth year in the job and he says he can’t speak for decisions that were made before his time. But he says there is a reason some parts of the county got new schools, complete with central air, before others. And it has to do with where the students are. The county schools have been adding about one thousand students a year. So, the new schools were built where the population was growing, and that was not Dundalk and Essex. But Dance says he expects that to change with the development of Sparrows Point. "Under Armour just recently announced its intent to bring jobs to that area which of course will bring enrollment," Dance says. Three of the 12 un-air-conditioned schools on the east side are being replaced. Six others, including Bear Creek, are slated to have central air installed in time for the start of the next school year. It’s part of the county’s plan to have all schools air conditioned by 2019. But Jessica Fish, who lives across the street from Bear Creek, is not satisfied with that promise. On the same hot day that Heather Garner and Drew Lee decided to keep their son home, she walked her son, John, to his first grade classroom at Bear Creek. "What about the kids this year," Fish asks. "What are they going to do until then?" Most likely, they’re going to sweat in class on hot days. The county school board passed a revised heat-closing policy this week that will make it much harder to close un-air-conditioned schools on hot days. Meanwhile, County Executive Kevin Kamenetz remained firm on not installing window units, saying they are a wasteful, Band-Aid approach to the problem. And Governor Larry Hogan’s executive order to open schools after Labor Day takes effect next year. It was a picture perfect day, not a cloud in the sky, as Loch Raven High School Principal Bonnie Lambert greeted students as they entered the building, wishing them a "happy new year" on the first day of school after the summer break. Karen Salmon, Maryland’s State Superintendent of Schools, said what’s great about education is that they get to start over every year. "And we get to do it right," she said "So it’s really just the best." 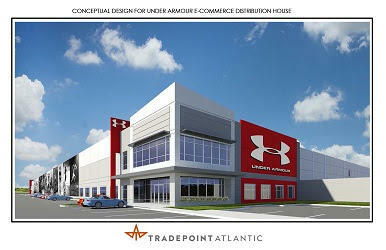 Under Armour is the latest company with plans to set up shop on the property that once was home to Bethlehem Steel in Baltimore County. The company announced plans Tuesday that it says eventually will bring about one thousand jobs to Sparrows Point. As expected, Governor Larry Hogan signed an executive order today, requiring all Maryland public schools to open after Labor Day, beginning next year. But opponents questioned its legality, and the governor’s motives. In making his announcement on the boardwalk at Ocean City, the governor said it will help the state’s economy, because families will be able to extend their summer vacations.